The Things We Do For Love. St. Jude Scuplture 2015. 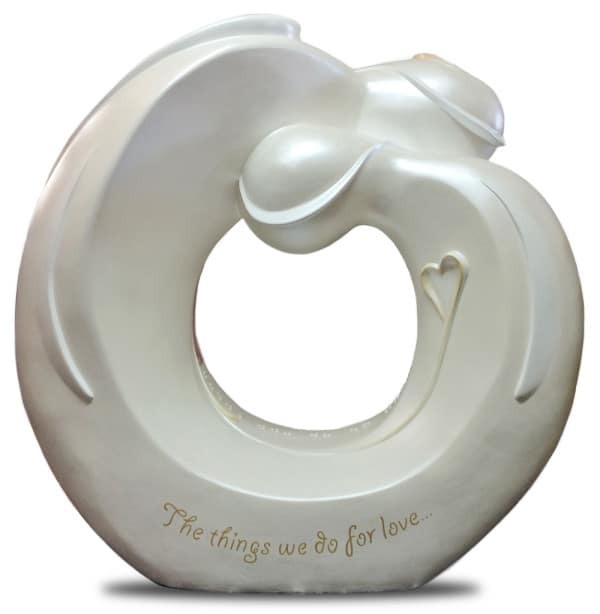 “The things we do for love…” That’s the theme of my St. Jude sculpture. It seemed like such an obvious choice for me. Mostly because LOVE is what St. Jude does and is all about. St. Jude Children’s Research Hospital does so much to help children of less fortunate families that it would be hard to share their whole story here. Essentially, they are all about finding cures and saving children. What I find to be beautiful about St. Jude is that they help those in need for free and they freely share their research with the world. They are givers. THE THINGS WE DO FOR LOVE was created for St. Jude Children’s Research Hospital.